In the Mission City Battle from Movie 1, Starscream plunges into action from above. 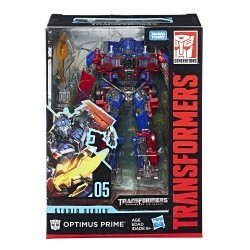 After eons of waiting, he seizes the opportunity to prove himself an equal to Megatron. This Studio Series 06 Voyager Class Movie 1 Starscream figure converts from robot to jet mode in 26 steps and comes with 1 accessory. Remove backdrop to showcase Starscream in the Mission City Battle scene. 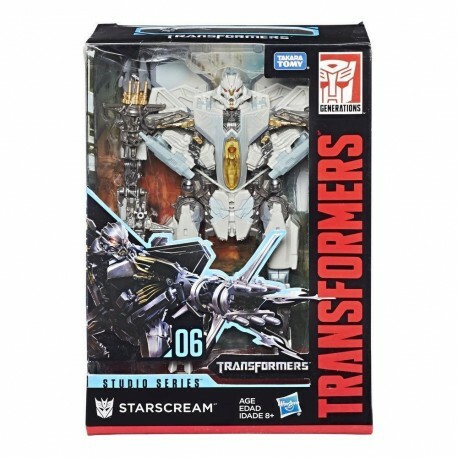 • Includes Transformers Studio Series 06 Voyager Class Movie 1 Starscream figure, accessory, and instructions.